From debut author Mary H.K. 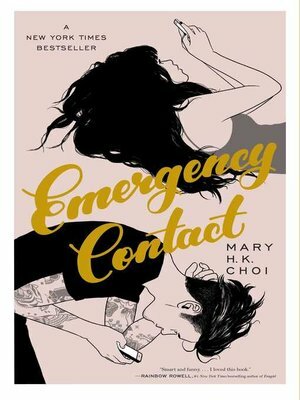 Choi comes a compulsively readable novel that shows young love in all its awkward glory—perfect for fans of Eleanor & Park and To All the Boys I've Loved Before. For Penny Lee high school was a total nonevent. Her friends were okay, her grades were fine, and while she somehow managed to land a boyfriend, he doesn't actually know anything about her. When Penny heads to college in Austin, Texas, to learn how to become a writer, it's seventy-nine miles and a zillion light years away from everything she can't wait to leave behind. Sam's stuck. Literally, figuratively, emotionally, financially. He works at a café and sleeps there too, on a mattress on the floor of an empty storage room upstairs. He knows that this is the god-awful chapter of his life that will serve as inspiration for when he's a famous movie director but right this second the seventeen bucks in his checking account and his dying laptop are really testing him. When Sam and Penny cross paths it's less meet-cute and more a collision of unbearable awkwardness. Still, they swap numbers and stay in touch—via text—and soon become digitally inseparable, sharing their deepest anxieties and secret dreams without the humiliating weirdness of having to see each other.